Bill Gates is helping everyone all over the world to adopt a vegan diet with his latest project called The Future of Food. He is investing money in food companies that produce faux meat products in an ethical and sustainable way. This is one step closer to helping save animals, help the environment and stop the spread of illness from meat-based diets. As our population increases at an alarming rate and arable land decreases, more pressure then ever is being felt by non-vegans to change their diet to help save the world. Everyone knows that raising animals for food is killing the planet but thankfully, many are now taking steps to change from an unsustainable meat-based diet, to a plant-based, vegan diet. In the UK, the Vegan Society recently reported that the number of people signing up to its online “Vegan Pledge” has increased by 40% in the first two months of 2013 compared with the same period in 2012. The Vegan Pledge scheme is for people who would like to try to go vegan for 7 or 30 days. On the 30 day program, new vegans are matched with an online vegan mentor who will support them during their pledge period by answering their questions and offering advice. The UK Vegan Society has seen a significant increase in pledges so far in 2013 of 40% worldwide and 26% in the UK. 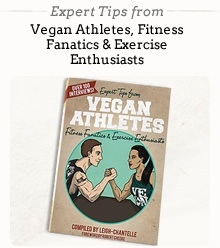 And this is not the only sign of an increasing interest in the vegan diet and lifestyle. Anjali Sareen, writing in the Huffington Post, reported that there is evidence from Google Trends statistics that “veganism is entering the mainstream” following public support for a vegan diet from people such as former President Bill Clinton, Justin Timberlake and Bill Gates. Google trends statistics for both the UK and worldwide show an increase of over 30% in the number of searches in the past two years for the term ‘vegan’, and in March this year there was the highest ever number of searches ever for ‘vegan’. Organizers of the annual UK Vegfest, saw a 44% rise in visitors in 2013 from the previous year. And the rising interest in a vegan diet and lifestyle doesn’t stop there. The number of cookery books sold by amazon.co.uk with ‘vegan’ in the title also increased from 145 books in 2011 to 255 books in 2012 demonstrating a growing market for meat-free, dairy-free cookery. To this end Bill Gates is investing money in companies that can create faux meat products that are ethically and sustainably produced and have the same “mouth feel” as meat. He believes that the biggest issue for meat eaters who want to change to a vegan diet, is that they are afraid to try new foods because they fear they will miss the “feel” of eating meat. He has stated publicly that he is worried about the future of an unsustainable worldwide meat based diet because by 2050 the population will have grown to 9 billion people. This means that meat consumption will double and there won’t be enough arable land to support this kind of diet. Not only that, but worldwide, livestock are responsible for 51% of greenhouse gases, which is another thing that has to change. Also every 10 kilo of grain fed to cattle only produces 1 kilo of beef. This is too few calories to feed our growing population. And it’s not only Bill Gates who is investing money in faux meat companies. Many venture capitalists have begun funding environmentally conscious, animal-friendly food companies which may well change the way everyone eats. The good news is that this trend is poised to continue it’s rapid growth as more and more substitutes for meat, dairy and eggs are being developed. And as this trend continues, it’s also quite possible that factory-farmed meat and eggs might soon be a thing of the past. Bill Gates believes that it could be true and says “I’m hopeful that we can begin to meet the demand for a protein-rich diet in a new way. We’re just at the beginning of enormous innovation in this space." And while eating faux meat and egg products isn’t exactly the best way to eat a vegan diet, it’s a step in the right direction that will save millions of animals from suffering and improve our planet.